I can remember when I first saw trail cameras at a local outdoor store. I knew this was something I wanted to try and saved my money until I had enough to buy one. Back then most models used the old 35mm film. Hard to imagine with the technology the new cameras have today. With a pack of film and some batteries I headed to my treestand. Determined for success, I picked out a random trail and followed the directions for setting it up exactly as described. I drove home, but as I tried to sleep that night the anticipation was eating me up inside, wondering what might have walked by in front of the camera. 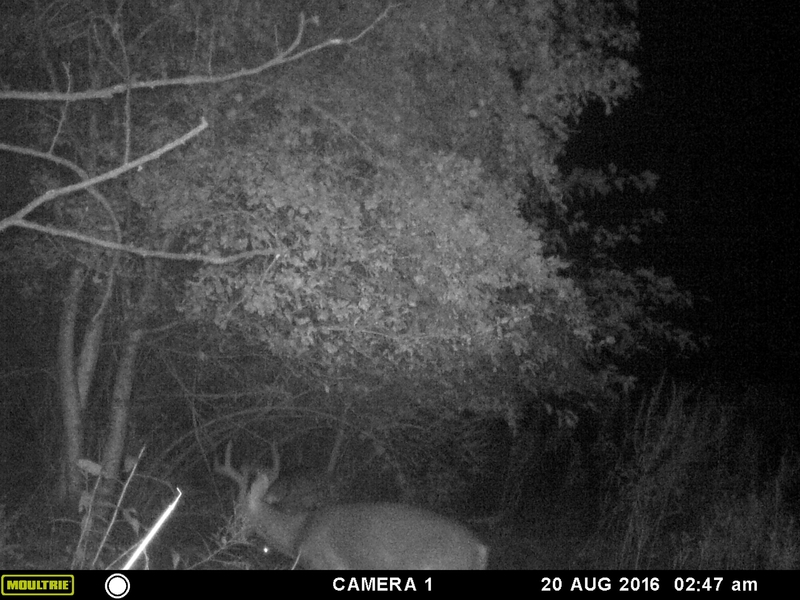 After a week I could not wait any longer, and I immediately headed into the woods to gather my film that hopefully was loaded with pictures of monster giant whitetails that were completely nocturnal. To my suprise, the counter had seven pictures on it! Curiousity ran high that day and I headed directly to the one hour photo shop. That was one of the longest hours of my lifetime, but finally I had my first trail cam pictures. I instantly looked through them and was very pleased. No monster bucks showed up that week, but I was thrilled to see five pictures of does, a young seven point, and even a bonus coyote added to the mix. From that day on I was hooked! Trail cameras have come a long ways since then, but the basic fundamentals for success remain the same. They have become a very important scouting tool, allowing hunters to see what is in the woods when they are not hunting. With some luck, you may even get to see some of those giant noctural bucks that make for tales that are almost mythical. Follow these tips for better trail cam success. Read all instructions carefully. They are there to help make your trail cam experience successful. Cameras need to be at the right height and angle to work properly. Location means everything! Set your camera up at a pinch point where several trails meet, or better yet, on a bait pile or feeder. Community scrapes, scrape lines, mineral licks, and rub lines are also great locations. If you have a camera that has to be checked, try to leave the area alone for at least a week, longer if possible. Some modern trail cameras have the ability to send pictures to a mobile device through an internet connection, allowing the user to see their pictures without physically walking back to the camera. Make sure there are no weeds or branches in front of the motion sensor. A little wind and the moving branches can trigger the camera, leaving you with a bunch of pictures with no animals in them.